The Harvey Tribute window is the company's best vinyl window (with the exception of their hurricane and noise reduction windows) that includes some nice features and upgrades. The Harvey Tribute Series uses the same mainframe and sash as the Harvey Classic window, but comes with upgraded sash locks, interior woodgrain finish option, enhanced half screen and two anti-theft ventilation latches. It is available in 28 exterior color options and 3 interior color options. 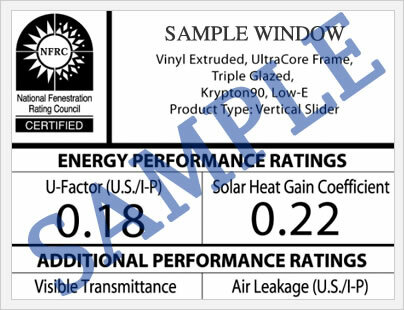 In terms of overall window ratings, the Tribute (with the Energy Star package that includes grids, low-e and argon fills) achieves a .28 U-factor, STC rating of 30, 3.57 R-value, .24 SHGC, DP30 and .42 VT.
Harvey Tribute window replacement costs fall into the neighborhood of $40 to $55 per square foot for the window itself. Compare the Harvey Tribute model to Simonton 5500 costs and Champion Windows prices. If you upgrade to a better glass package, you can expect a .27 U-value (heat loss), .36 SHGC (heat gain coefficient), .41 VT (visible transmittance), and a 62 CR (condensation resistance). TI was less impressed with the Tribute performance than I was with the Harvey Classic window. Certainly not bad, I would say these are pretty ho hum though for a premium vinyl window. The Harvey Tribute comes with a Lifetime Warranty that covers the extrusion, screens, and all of the components such as locks, balances, sash retainers, hardware, etc. The insulated glass unit carries a 20 year warranty. The Harvey warranty is transferrable to one subsequent owner, although the second owner's warranty has only a 20 year warranty period (instead of the lifetime) from the original date of manufacture. Do you have a question about the Harvey Tribute? Our industry professionals can help you get information on prices, upgrades, installation requirements, bids or quotes, as well as help you sort through the quotes and companies you are considering for your next home window project. Want to add your Harvey Tribute windows reviews? Post it here and help other consumers get the information they need to make the right choice for their home.